25kg in paper-plastic composite bag and PE inner bag. 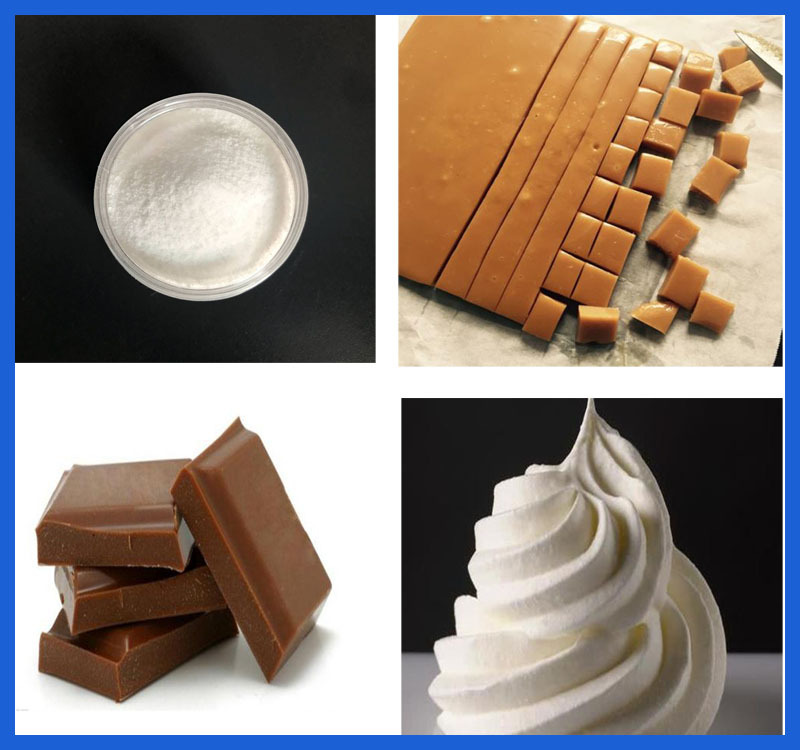 a.For candy and chocolate,it can prevent oil and fat separation of toffee,it also can prevent chocolate sugercrystal and oil-water separation. b.Used in margarine to prevent oil and water separation and stratification and improve the quality of products. 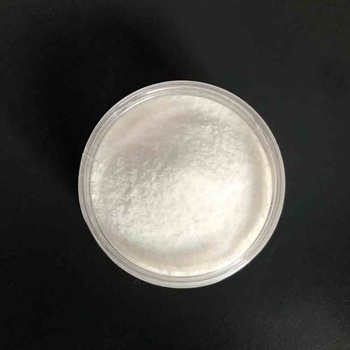 c.Glycerol Monostearate used in beverage,added in the protein beverage including fat,it can improve stability and prevent oil from floating and protein from sinking. d.Used in bread,it can improve the texture of dough and prevent the dough aging.Make bread soft,volume increase,springy,prolonged storage period. e.Used in pastry,with other emulsifiers together as foaming agent of pastry,they form complexes with protein,thus produce moderate bubble film,the size of pastry increased. 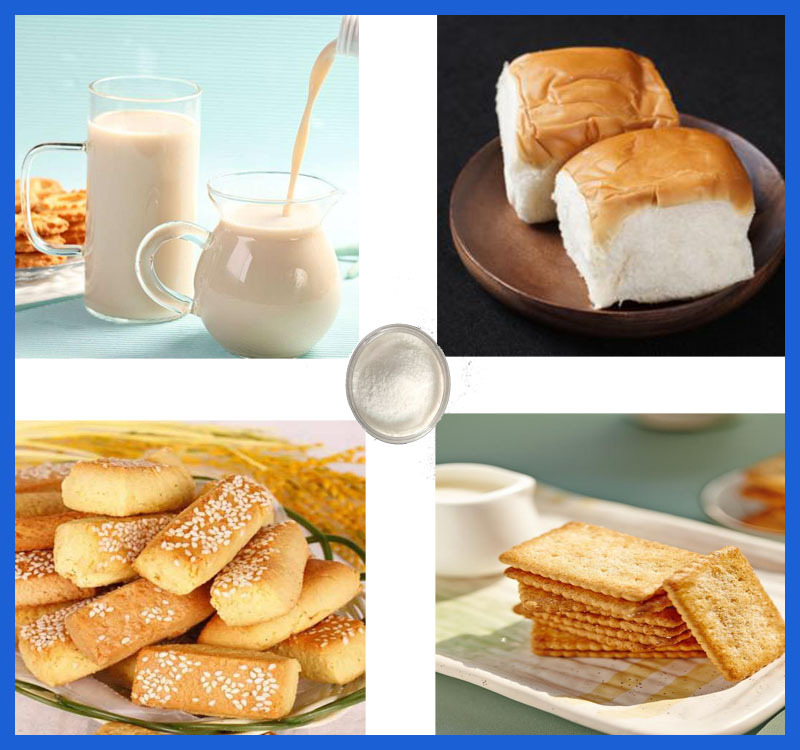 f. For biscuit,the grease can evenly dispersed in an emulsified state after glycerol monostearate added in dough,that can effective prevent the grease exudation,improve the britteness of biscuit. 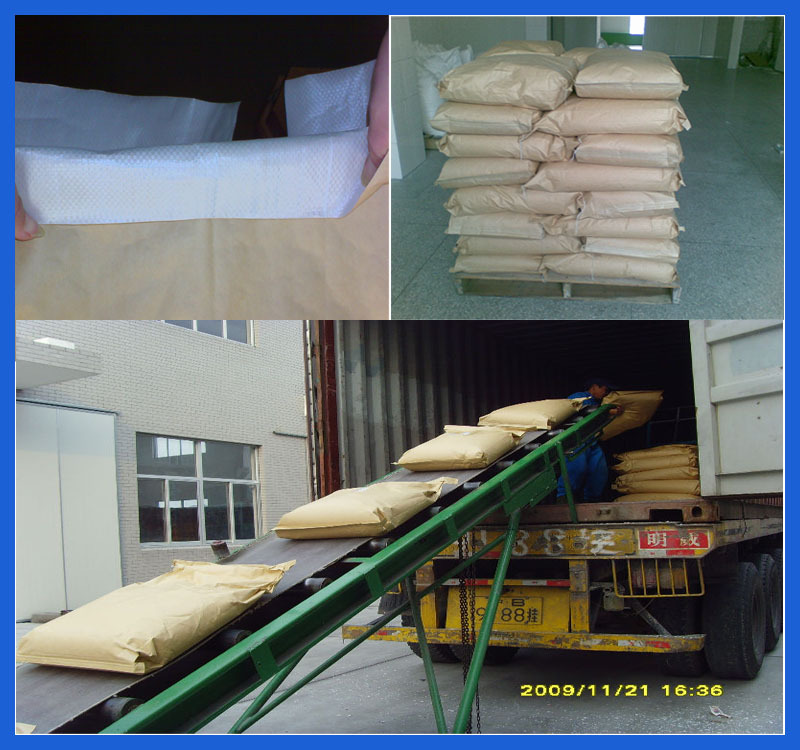 Packing and storage: 25kg in paper-plastic composite bag and PE inner bag. It should be kept in dry, cool and ventilated place. Henan Eastar Chemicals Co., Ltd was established in November 2003.The corporation is mainly engaged in the international and demestic trade of food additives,feed additives,snow thawing agents,organic and inorganic chemical raw material and other products.It handles about 100 kinds of products,among which Glycerol Monostearate,Dicyandiamide,Copper sulphate (feed grade),Dextrose monohydrate (oral),Malto dextrin.soya lecithin,Magnesium chloride,Sodium thiosulphate and snow thawing agents have been developed into strong and regular items and enjoy good reputation in the international market. 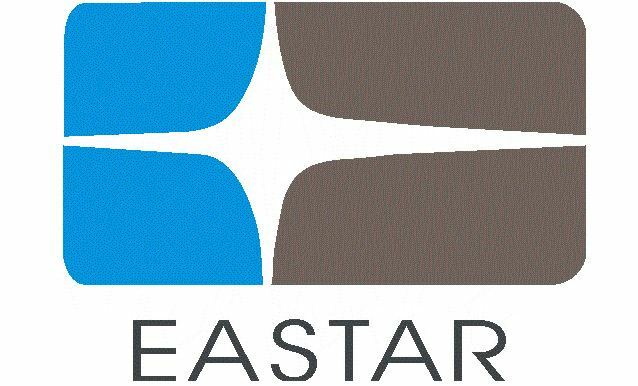 Guided by the principle of "putting customers' satisfaction in the first place",Henan Eastar will eternally provide the quality products excellent service to all the customers around the Globe.